SystemX is one of eight institutes for technological research that have been established by the Government to enhance the country’s attractiveness. SystemX, set up in 2012, is the only Institute of Research and Technology (IRT) in the eld of digital engineering of complex systems, meeting industries and territories’ technological and scienti c challenges through exible, open and collective applied research. Bringing talents together. The institute brings together all the partners involved in its projects under one roof, thus creating a melting pot of interaction between stakeholders in the public and industrial research sectors. Pooling of skills and platforms. SystemX is consolidating its technological platforms by pooling the components and infrastructures of its research projects, and is developing expertise in the service of its public and private partners. 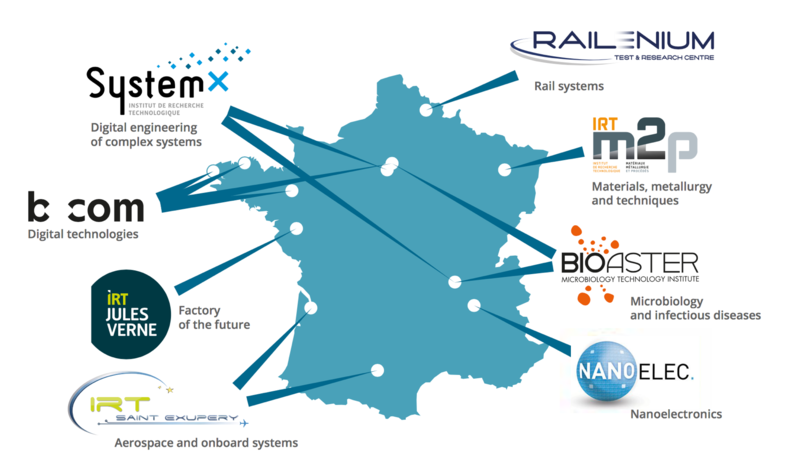 In March 2015, the IRTs decided to form an association called the French Institutes of Technology (FIT). This association brings together eight French IRTs focused on four key values: Teamwork, Creativity, Agility, Results. All eight IRTs receive State funding under the Investment for the Future program (Programme d’investissements d’avenir, PIA). The Investment for the Future program, steered by the General Secretary for Investment (Secrétariat général pour l’investissement, SGPI), was created in the wake of the “Juppé – Rocard” report of 2009. This exceptional arrangement will prepare France for tomorrow’s challenges by financing innovative, promising French investments. 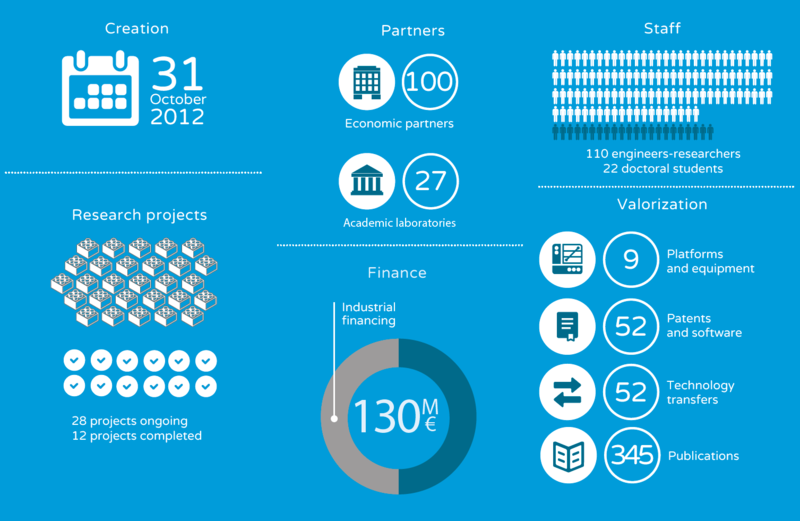 47 billion euros have already been devoted to it under three bywords: excellence, innovation and cooperation. In June 2016, the President of the Republic announced that ten billion euros would be devoted to a third Investment for the Future program, thus adding futher to the initial wish and addressing three priorities: support training and research progress, valorize research and accelerate modernization of businesses.